Today I'm linking up to The Polohouse's Favorites on the First linky party HERE. This month's party features our favorite chairs. First of all, the above recliner is NOT my favorite chair. Not by a long shot. I don't have anything against recliners….I know they're ultra comfortable and cushy. But they just don't fit in with my traditional decor, and I don't need a piece of furniture that looks like a boat. 6-motor massage option for the ultimate in comfort and relaxation." What more could one possibly want in a chair? My poor, long-suffering husband actually had a water buffalo chair similar to the one above when we got married. It was the first thing to go. I started collecting vintage bamboo furniture quite a few years ago. While the little bamboo corner chair below isn't exactly comfortable, it's just so darn cute. And after all, isn't that what's most important? I bought the child's chair below at an estate sale. I think it's charming. By the way, I did a post on the above needlepoint pillows HERE. We bought these two chairs to go in our living room/library. Because my husband is 6'5" tall, the furniture in our house has to be big. The chairs are very comfortable but not really my favorite. 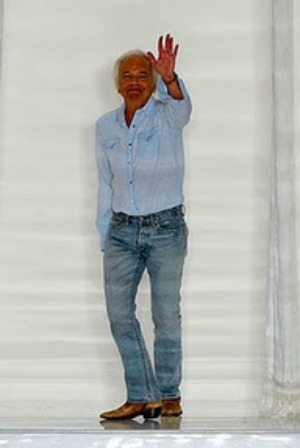 Below is the photo of Ralph at his New York country estate that's been floating around the internet for years. In my opinion, that leather chair is absolutely perfect. I have a few La-Z-Boy sofas in my home. Comfortable. Yes, I think that they're very comfortable and cushy. They just don't go with my decor. However, I've promised my husband that if we ever get a lake house, he'll have the snazziest La-Z-Boy we can find! I don't care for big recliners much either as they are so big and take up a lot of space. I love your bamboo corner chair. It's just sweet! Pamela - Thanks! I found it at an antique mall and just couldn't pass it up. But we do have comfy chairs in our home. Wing back chairs with ottomans are great. Love the antique bamboo corner chair. Who cares if it isn't practical if it's charming. Thanks for sharing your favorites. I didn't get my post pulled together this month, but I love the topic. Hi, Sarah! I think that comfy chairs are indispensable, no matter what they look like. 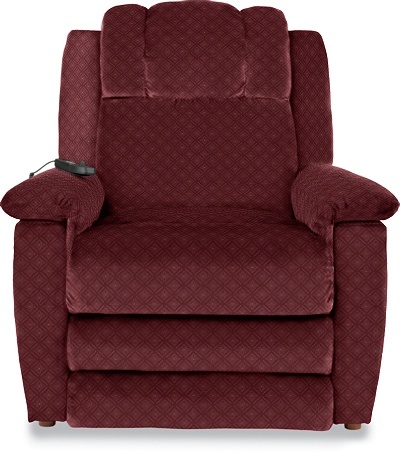 We have a few club chairs that rock and swivel; they're really comfortable. Missed your post this month on your favorite chair. Your posts are always so beautiful and inspiring! "It was the first thing to go!" Too funny. 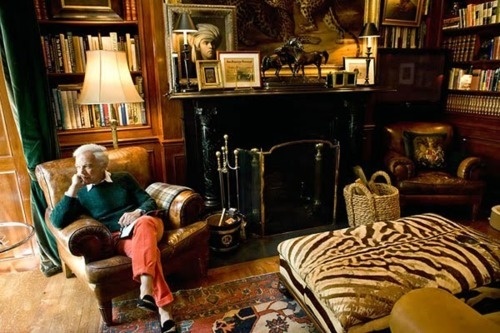 Love the RL leather chair too. all the plaids and all the things you were pinning. I felt like you knew me and you were saving me so much time finding all the good stuff I needed to pin too! Thanks for joining in at Favorites on the First! Alison - Thanks so much for inviting us to your linky party. Can hardly wait to find out what "Favorites on the First" will be about in April! perfect place to spend sometime reading, sipping a hot cup of tea. This is a reminder out there to all fathers telling them just how important it is to pull out the chair and open the car door for your wife. You want your children to witness this type of respect that you have for each other.